I launched my financial advisory career with Northwestern Mutual in 1991, and have attained the position of a Wealth Management Advisor. In this capacity, my focus is to develop relationships with my clients that allow us to work together and build meaningful financial plans that allow them to live for today and meet their financial goals in the future. I am a a Registered Representative of Northwestern Mutual Investment Services, LLC maintaining securities Series 6, 7, and 63 registrations as well as Life, Accident & Health insurance license.I am a Certified Life Underwriter, and Chartered Financial Consultant I am also Certified in Long-Term Care. I earned my Bachelors Degree in Arts with a Major in Economics and a Minor in Psychology from Lehigh University in 1991. 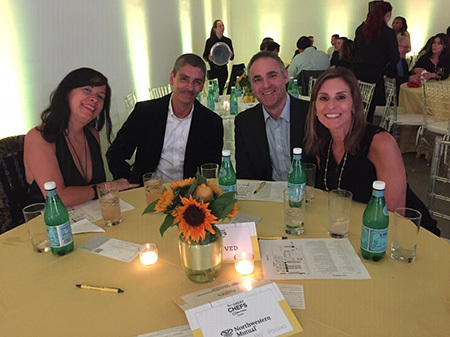 I enjoy socializing with my clients at special events and recently spent an evening enjoying a gala that was in support of the Alex’s Lemonade Stand Foundation.